The Dead Guitarists Society returns with Jimi Hendrix, who has had three times as many albums released since his death than when he was alive. The people controlling his catalog have no difficulty finding and releasing new recordings that without question are of superior sound quality. “People, Hell & Angels” is no scratchy-sounding unofficial release. It’s in the same vein as 2010’s “Valleys of Neptune,” taken from studio sessions between early 1968 and late 1969. 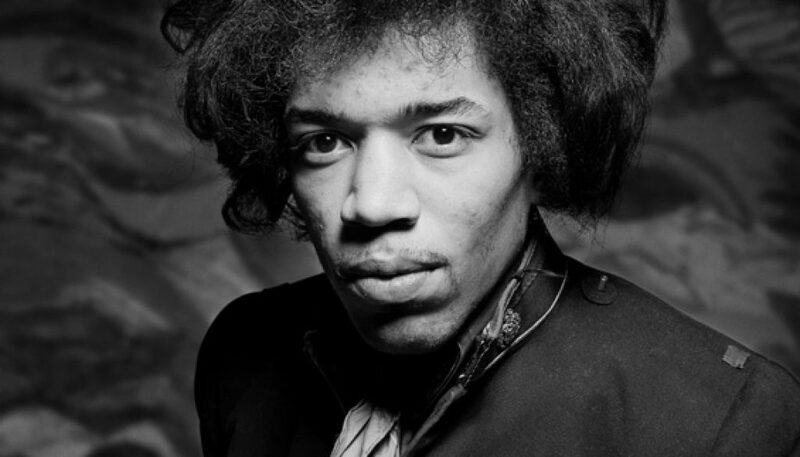 Hendrix died in September of 1970. But let’s face it, when you see the track list here you’re going to recognize half the tracks as ones you already own more than once. The album is not without moments of greatness – the blues jam on this electric version of “Hear My Train A Comin’” is perhaps the best released (so far anyway!). New to most listeners is the song “Somewhere” with Stephen Stills on bass. It only whets your appetite for more of that collaboration, but this collection makes more room for the Hendrix pals Buddy Miles and Billy Cox. There is jazzy noodling and more of an R&B feel to some of these sessions, especially on “Let Me Move You” which features saxophonist Lonnie Youngblood. With every new Hendrix release your status as a die-hard fan is tested. This is not as essential listening as the aforementioned “Valleys of Neptune.” But since you’re a serious fan you’ll probably need them both anyway. Crazy how he’s had so much music released. I always find it a touch frustrating when record companies constantly exploit a dead musicians art dressing it up as a new album. There is obviously a huge market for it, and I am curious to hear this myself, but would Jimi himself want this to be released? Who can say what Jimi would want? I bet he’d want to be alive and still making music. This album has been out for six months and I’m still listening to it. There’s some really good stuff on it. If nothing is done to keep Jimi’s name alive it makes it harder for newer, younger audiences to find out about his music. And that would be a shame.